George Mahood had a nice, easy, comfortable life. He had a job, a house, a wife and kids. But something was missing. He was stuck in a routine of working, changing nappies and cleaning up cat sick. He felt like he was missing out on a lot of what the world had to offer. He then discovered that it was Bubble Wrap Appreciation Day. The day after that was National Curmudgeon Day, and the day after that was Inane Answering Machine Message Day. In fact, the calendar is FULL of these quirky, weird and wonderful events. He realised that somebody somewhere had created these holidays, believing that they were important enough to warrant their own official day. Surely he should therefore be more appreciative of their existence? So he decided to try and celebrate them all. As you do. He hoped that at the end of the challenge he would be transformed into a happier, more intelligent and more content person. Follow George on his hilarious, life changing adventure as he tries to balance his normal life with a wealth of new experiences, people, facts and ridiculous situations. 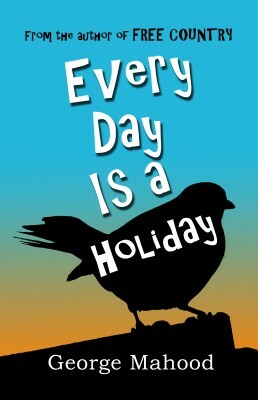 It’s a rip-roaring, life-affirming, roller-coaster of a ride, where every day is a holiday.